All accounts offered by InMotion Hosting include cPanel access. Please refer to our link if you would like to learn more about cPanel Hosting options. 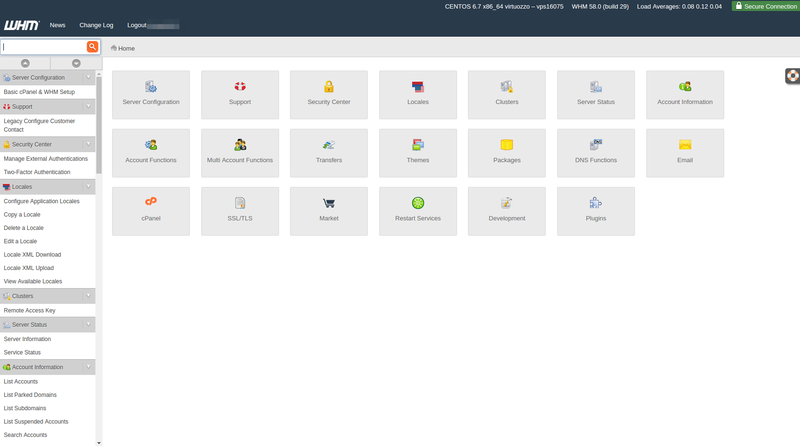 cPanel is your website's control panel, and allows you to do tasks such as edit files, create email addresses, and setup databases. The cPanel accounts themselves are managed by Web Host Manager, commonly referred to as WHM. WHM access is not available in Shared cPanel Hosting, however if you have VPS Hosting or a Dedicated Server through InMotion Hosting, you have WHM access. Reseller accounts have a limited form of WHM as well. If you missed our previous article, please see the What is VPS Hosting? tutorial. Having WHM access allows you to, in essence, resell your own hosting accounts. You can create cPanel accounts within WHM, and just like InMotion Hosting, you can apply certain restrictions per account. For example, you can set one cPanel account to have a max of 5 addon domains, while another cPanel account can have a max of 10 addon domains. Some Web Designers have one shared hosting account, and host several of their clients on that single account. The problem however is that when your clients need emails addresses created or passwords reset, this falls on you. You cannot give your client your cPanel login credentials, as this will give them access to your other clients as well, and that is simply not a viable action. If you have VPS Hosting or a Dedicated Server, you can create individual cPanel accounts for your clients. This will give them their own cpanel login so they may have access to create new email addresses and many other tools available in cPanel. In the long run, this can save you quite a bit of time if your clients learn how to make changes without contacting you first! Resellers looking to sell hosting on a VPS, check out our affordable VPS plans. Please does a bulletproof cpanel ignores complains? I'm sorry I do not understand your question. Can you please clarify? 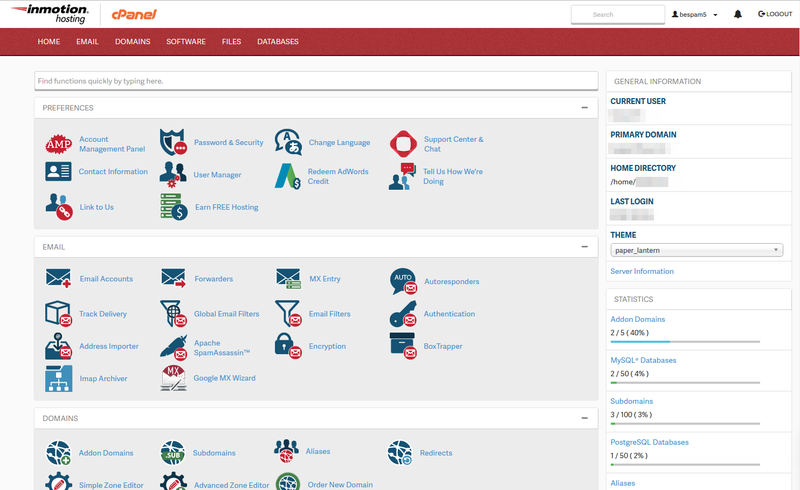 How do you upgrade cpanel to the latest version? Unless you're on a VPS or dedicated server you cannot upgrade the cPanel. It is done either via SSH or using EasyApache on those hosting servers. If you are on a shared hosting or reseller, then you will not be able to upgrade the version. is i have whm in VPS-1000HA-S vps plan ? can i add customer ? Yes, you are able to create additional cPanel accounts for your customers. Both links at the bottom of the article are broken: Please check the next article on Standard SSH Access vs. Root SSH Access. For more information on this course please visit An Introduction to Web Hosting. I'm new in reselling Host and i´m still looking arround to put my reselling page in the air. What is the most quicker way to put my site online and running? Where should i find the Web templates to use? That is a very general question, so it's difficult to give you a specific answer. It will depend on how you're building your website. If you're building your websites with a tool like WordPress, you're already basically online, but you load up a maintenance page plugin and let it announce that a website is upcoming. Otherwise, if you're building the website by hand, then if you want to announce that website is coming up prior to it's release you should put up page giving information to potential visitors. You can find web templates all over the web depending on how you're building the website. Use your favorite search engine and you can find templates/themes very easily. Thank you for your question. You must be logged into WHM as 'root' to use the Host Access Control option. Here is a link to our FAQ on Root Access. You can also Restrict access with .htaccess and the IP Deny Manager. I'm trying to find my way to the Host Access Control in WHM and can't seem to find it. I need to block an IP address completely at the server level so that the IP address is blocked to access any of the websites hosted on my VPS account. Can anyone point me in the right direction, where can I find Host Access Control? Appreciate your help. Thanks.